The Russian Federation is multi-ethnic and multi-religious but several areas of the Russian Federation are blighted by international terrorism, internal ethnic fault-lines, local terrorism, and regional political issues which are hindering real progress. This most notably applies to the Caucasus region and areas like Chechnya, Dagestan, and Ingushetia which are overwhelmingly Muslim. However, other regions have become engulfed by the threat of terrorism and in North Ossetia, which is mainly Christian; you had the Beslan hostage crisis in 2004 when Chechen insurgents and others seized control of a school. This led to the deaths of 335 civilians, the majority of victims being young children who were used by radical Sunni Islamists without any compassion or care for the loss of their blood. Attacks have also happened within the heartland of the Russian Federation and the latest terrorist attack is a reminder that terrorism is a threat in not only the Caucasus and surrounding region; but it can strike at any time throughout the Russian Federation. Past terrorist attacks have happened in Kabardino-Balkaria in 2005 when Islamists attacked government buildings in Nalchik and this led to the deaths of around 80 people. In 2004 you had Beslan and the sight of radical Sunni Islamists abusing and terrifying innocent children after taking over a school. Also, in 2004 a terrorist attack outside a Moscow subway station led to the deaths of ten people after a female suicide bomber killed innocents in the name of Islam. 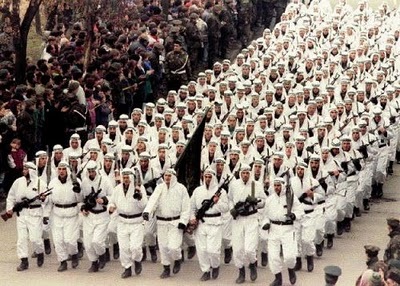 The year 2004 was particularly bloody because terrorists were also responsible for the downing of two Russian passenger planes (female Chechen suicide bombers were blamed); Islamic insurgents also attacked Nazran in Ingushetia and roughly 100 Ingushetian Interior Ministry troops were killed; and many other acts of terrorism took place including the assassination of Chechen President Akhmed-hadj Kadyrov and a suicide attack against a subway train in Moscow which killed at least 40 people. Other more prominent attacks apply to a suicide bomber killing 5 people within the easy reach of the Kremlin in Moscow in 2003. In the same year a passenger train was blown up between Kislovodsk and Mineralnve which led to the deaths of at least 40 people in southern Russia; a military hospital in Mozdok, North Ossetia, was also blown up by a suicide bomber which resulted in the deaths of at least 50 people; and two female Chechen suicide bombers killed 15 people during a rock festival at Moscow’s Tushino airfield. Countless other terrorist attacks have happened and around 129 hostages in Moscow’s Dubrovka Theatre were killed in 2002. These terrorist attacks, and so many others which I have not mentioned throughout the Russian Federation, highlight that no region is out-of-reach because Chechens and Islamists have taken their deadly carnage to many places. In recent times it appeared that the situation had been contained to limited areas within the Caucasus region and that the worse was over. This does not imply that the threat of terrorism had completely gone away because this was never the case. However, compared with the situation in the 1990s and up until 2005 when you had countless terrorist attacks; then it did appear that the security forces alongside regional interior troops were gaining the upper hand. However, the latest terrorist attack which killed at least 38 people is a stark reminder that terrorism, radical Islam, and ethnic nationalism, is still a potent force within the Russian Federation. 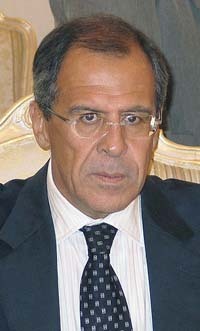 It is noticeable, however, that Sergei Lavrov, the Russian Foreign Minister, hinted (March 29, 2010) that the subway explosions may have their roots and links to the Islamic insurgency along the border of Afghanistan and Pakistan. Interestingly, B.Raman (Additional Secretary (retd), Cabinet Secretariat, Govt. of India, New Delhi) also links the current crisis to a broader area and B. Raman is an expert in this field. Vojin Joksimovich is clearly highlighting the funding channels which are enabling radical Islam to obtain a major foothold in many conflicts throughout the world and to create radical Islamic cells in any given nation because of ample funding. The latest terrorist attack in the Russian Federation may lead straight back to the Chechen conflict and hatred which developed during this bloody conflict. However, it is also clear that international jihadists, finance via the Wahhabis in Saudi Arabia, Islamic cells in various parts of the world, training grounds along the border of Afghanistan and Pakistan, and the spread of radical Islam to the Caucasus and other parts of the world is also the root cause. Therefore, the Russian Federation must once more do a lot of soul searching but clearly Islamic financial funding for terrorism, the international jihadist brigade, and other factors; fused with genuine internal ethnic issues in many host nations, means that this issue is very complex . The very nature of Islam itself must be studied because this religion does appear to nurture and sanction the holy war throughout the Koran and the Hadiths.